Everyone wants a share of pie from nearly 47 million strong small and medium sized businesses in India. Google has been launching various campaigns to bring bring SMS’s online which includes India Get Online initiative. They also recently dropped prices for Google Apps platform specifically for Indian SMBs. Now, Godaddy has announced a unique campaign called “Cup of Coffee” which will demonstrate to small businesses and entrepreneurs in India how easy it is to build a web presence goes. To start off, this campaign will be running simultaneously in three cities – New Delhi, Mumbai and Hyderabad for a period of one month. What does this campaign offer? The GoDaddy campaign will essentially offer an extremely cheap way for businesses to go online. Under the “Cup of Coffee” campaign, GoDaddy web experts will be going door-to-door in selected clusters of New Delhi, Mumbai and Hyderabad. These experts will showcase how websites could easily be built and also train them on how it can be promoted on Google to get more business. GoDaddy is also going all out with this campaign and advertising it via various offline channels including radio jingles and Outdoor advertising. Millions of Business in India are still offline – They don’t have any online presence and are not even aware of how online presence can make a difference to them. So, GoDaddy is doing the logical thing, instead of waiting for them to come to GoDaddy, they are reaching out to them through offline channels. 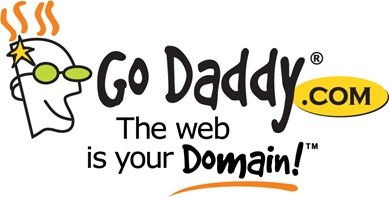 GoDaddy understands, that is the only way they will reach Indian SMB masses in short time! "GoDaddy Launches “Cup of Coffee” Campaign to Bring Indian SMB’s Online", 5 out of 5 based on 1 ratings.